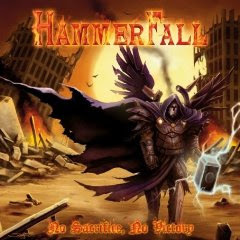 Hall of the Mountain King: Review: Hammerfall, "No Sacrifice, No Victory"
I have a bit of a like/dislike relationship with power/traditional metallers Hammerfall. At times I've quite enjoyed their music, at other times, I've panned them as Manowar wannabes. Their latest, "No Sacrifice, No Victory," though, happens to strike me the right way. It starts out with the catchy "By Any Means Necessary" that sets the tone for the record. Sure, the gang vocals on the chorus are probably a little over the top, but that's the genre you're dealing with. You've got to expect a little cheese from even the best that power metal has to offer. 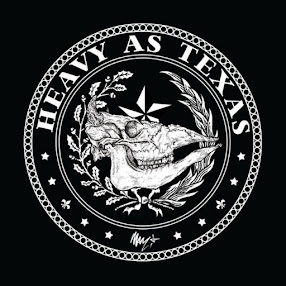 One thing that this record offers up is a more hard rock-influenced sound than some of their past work. That's evident on the second track, "Life is Now," which after a Maidenesque opening riff, pulls a lot of influence from 1970s and early 1980s arena rock. The other thing that recommends this record are the big NWOBHM-style guitar riffs, like the one on "Punish and Enslave." It's undisguised and unabashed early 1980s songwriting, and it takes me on a welcome trip down memory lane -- despite the strange groaning vocals on the chorus. Of course, there is a cheese and corniness factor that kicks in particularly hard on the demonic, distorted spoken word intro to "Legion," an otherwise rock-solid high-speed power metal number. The rest of the song makes it forgivable, unlike the band's cover of "My Sharona" that closes the record. It's a pretty straight-forward version of the song that, aside from some slightly more distorted guitars, could probably be mistaken for the original. It's a definite scratch your head and reach for the skip button moment, but it's the only real one on the record and it's more of a throw-away track stuck at the end. Surprisingly, considering my general dislike of ballads, one of the best moments here is the soft "Between Two Worlds," which opens with a dark organ intro and continues with an acoustic riff and a focus on Joacim Cans' vocals, and only a brief harder moment with the guitar solo. The band comes back with another huge riff and a memorable chorus on "Hallowed Be My Name." (Not, of course, to be confused with Iron Maiden's "Hallowed Be Thy Name.") We get another rollicking power metal number in "Something for the Ages," another 1980s influenced hard rocker with the title track and a nice grooving heavy riff on "Bring the Hammer Down." The guitar work from Oscar Dronjak and newcomer Pontus Norgren takes center stage here, and it's really those big riffs that make the record. Vocalist Cans is on target, though he occasionally gives in to some of the cliches of the genre, and the rhythm work of drummer Anders Johansson and returning bassist Fredrik Larsson is solid. In all, "No Sacrifice, No Victory" is a catchy, enjoyable blend of hard rock and traditional metal. While it's not likely to make my year-end list, I can definitely enjoy it while it's playing. Get "No Sacrifice, No Victory."